This is a town of outlaws. It goes well beyond the entrepreneurs with their marijuana grows. The lawlessness is embedded deep into the local and Trinity County governments, including the Mountain Valley Unified School District. The corruption bleeds into the California court system as well. The same clerk of the Trinity County branch of the Superior Court of the State of California, who let the election contest against Measure J languish and collect mold and dust for three months and then allowed County Counsel to file an answer 81 days late. On Friday, the same visiting judge from Shasta County, who was forced to put the contest on the calendar, is set to hear a motion to dismiss the contest. How convenient that he obliges the corrupt county officials and their lawyers. He'll very likely dismiss the contest to force the contestant to bear the costs of an appeal. Absolutely disgusting! To the law firm that bleeds the county taxpayers with its outrageous billings with the blessings of the Trinity County Supervisors, every legal matter is another goose that lays a golden egg. It all started with the odor of mold. (See Timeline.) Maybe the denizens of Hayfork have grown too accustomed to the odor of marijuana. Maybe the school officials just don't care about maintaining the schools since dramatically declining enrollment is impinging on their pay and benefits. Then there's the corrupt County Registrar who's been under constant fire since she was appointed to succeed her mother-in-law, who resigned just months after being elected in June 2014. The Registrar is known for flouting the Elections Code. Like the petty tyrant that she emulates, her rules govern. That combination led to Measure J being placed on the ballot all by itself, in contravention of Education Code 15266(a). Section 15266(a) makes it a prerequisite for a 55% bond measure election that before it may be placed on the ballot there must another "regularly scheduled local election at which all of the electors of the school district ... are entitled to vote." Perhaps, bigger than the election contest itself, is the cover-up over the issuance and sale of nearly $3,000,000 of bonds after the election. The governing board went full bore to try and get its grubby hands on the money as soon as possible and to pay off the lawyers and advisors who aided and abetted them in winning the alleged election. Initially, the sale was scheduled for January 14, 2018, just two months from the election. It finally closed on February 14, 2018 but not before the lawyers, advisors, and the district officials were all given direct notice of the still pending election contest. Both County Counsel and the Registrar had been telling everyone who would listen that the contest was frivolous. That was, until a visiting judge from Shasta County finally set it for hearing and trial. No litigation is pending or threatened concerning the validity of the Bonds, and a certificate to that effect will be furnished to Underwriter at the time of the original delivery of the Bonds. The District is not aware of any litigation pending or threatened that (i) questions the political existence of the District, (ii) contests the District's ability to receive ad valorem taxes or to collect other revenues or (iii) contests the District's ability to issue and retire the Bonds. This is what they call securities fraud. The Securities and Exchange Commission doesn't look upon this kind of lying kindly, to put it mildly. It's individual criminal liability for all involved. It's Memorial Day weekend. Trinity County is beautiful at this time of year. Make it a nice spring excursion. Drive up on Thursday night, observe the hearing on Friday morning. Meet the man who's putting his full effort into reining in the crooked public officials. 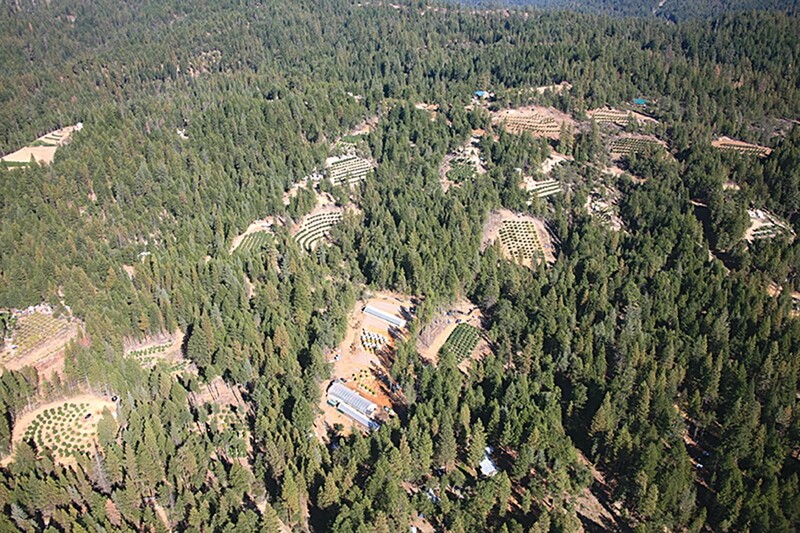 Then spend the rest of the weekend exploring the Mad River or the marijuana grows in Hayfork. For a quick review of the whole sordid story that led up to this shoot-out in court, see the Measure J Timeline and Links.